Three Mersey children's charities have received a three-quarters of a million pound Christmas windfall from Everton striker Wayne Rooney. 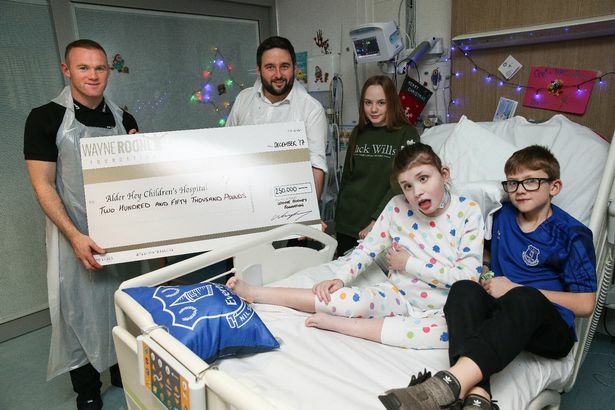 And Rooney personally delivered the cheques himself to to Claire House Children’s Hospice, Alder Hey Children’s Charity and the NSPCC offices in Liverpool. The Blues ace handed £250,000 to each charity from monies raised by his Old Trafford testimonial match between Everton and Manchester United in 2016. 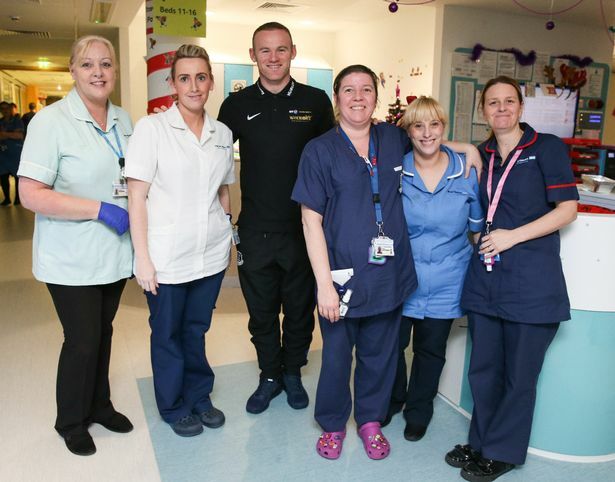 Rooney said: “It’s always a privilege to meet the children and families who are being really brave and positive during their illnesses. It’s a particularly difficult time of year but I hope we were able to bring some Christmas cheer, as all the charity staff do throughout December. “I’d like to single out and pay tribute to all the staff members at the three charities I’ve visited this week who do such brilliant work, week in and week out, not just at Christmas.
" I think it’s important for me to be able to contribute through the Wayne Rooney Foundation and continue to help children who need it most.“Since my testimonial, my foundation and our charity partners have been working together to ensure that the funds we raise will be put to good use and have a lasting effect. Those projects are now underway and it’s a pleasure to be handing over the cheques today.”John Armstrong, director of philanthropy, from Alder Hey Children’s Charity said: “We are incredibly grateful to Wayne and his Foundation for this generous donation. Alex Modder, children’s services manager at the NSPCC Hargreaves Centre in Liverpool said: “We are incredibly grateful for Wayne’s very generous donation.